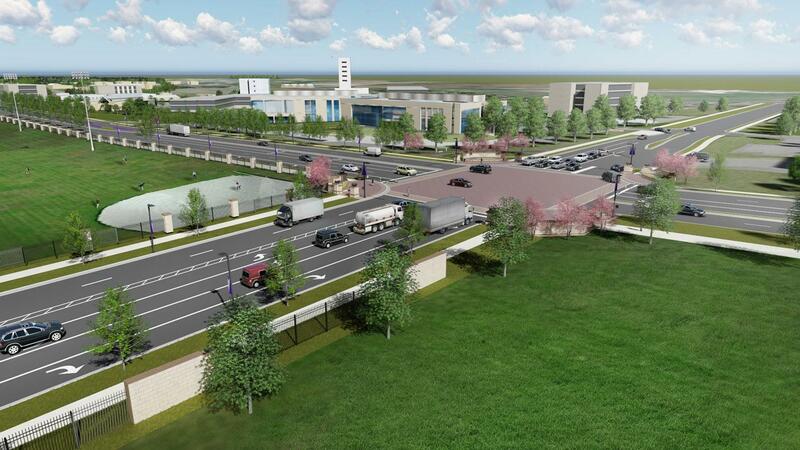 This large rendering is from the vantage point of the National Bio and Agro-defense Facility, and shows how the North Campus Corridor Master Plan connects research, education, athletics, and public and private sector facilities. 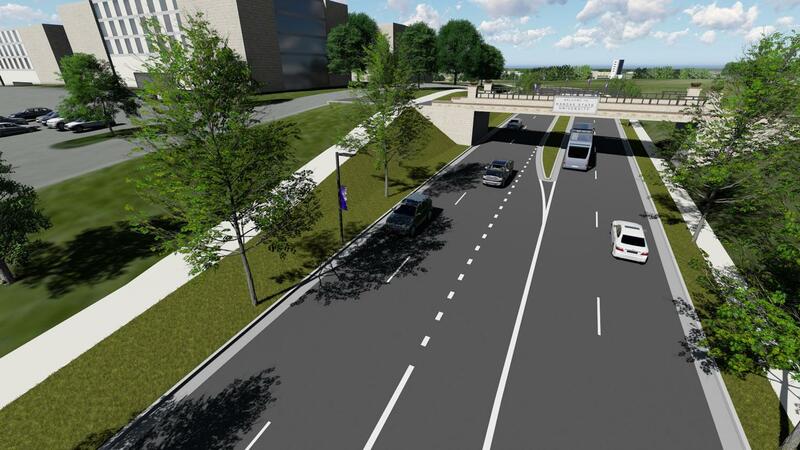 The other renderings show different features of the North Campus Corridor Master Plan. When the federal government selected a site near the north end of Kansas State University’s Manhattan campus as the future home of its foremost animal disease research facility, a partnership of university, civic and business interests came together to plan, develop and improve the area around the major laboratory. Today, with construction of the $1.25-billion National Bio and Agro-defense Facility, or NBAF, underway, the university, the Kansas State University Institute for Commercialization, the Kansas State University Foundation, the city of Manhattan, Riley County, the Manhattan Area Chamber of Commerce and K-State Athletics have put their plan into action. The collaborative team is developing an area where the public and private sectors can co-locate with the university, support the K-State research and education mission, build on the university’s expertise in global food systems and biodefense, and create value for all. 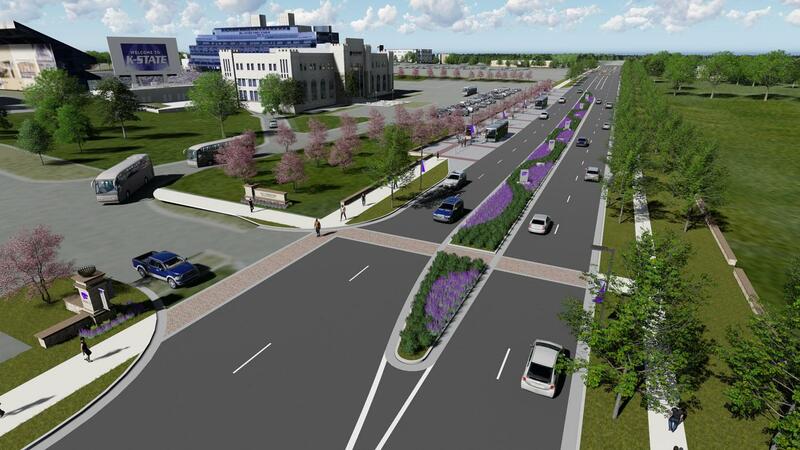 The North Campus Corridor Master Plan comprises 13 phases to improve access, safety, infrastructure and aesthetics. 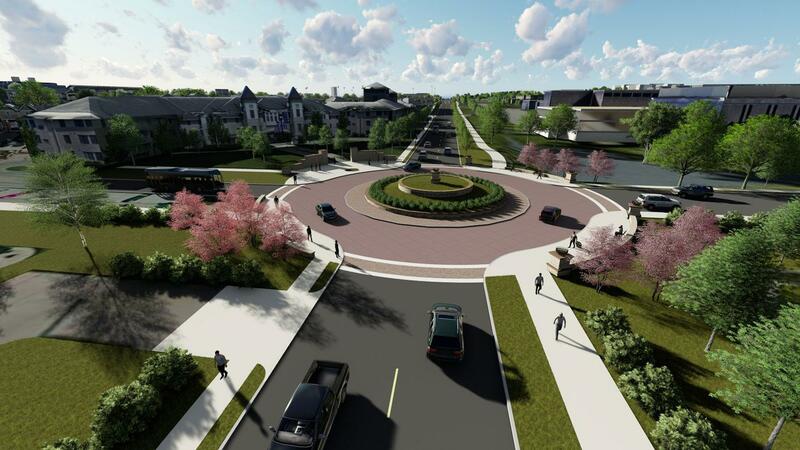 Phases one through four are underway now; the first visible results will be wider streets, improved intersections, trail and sidewalk access, and continuation of the historical limestone wall and entrance gates. The rest of the phases will be complete by the time NBAF becomes operational in 2023. 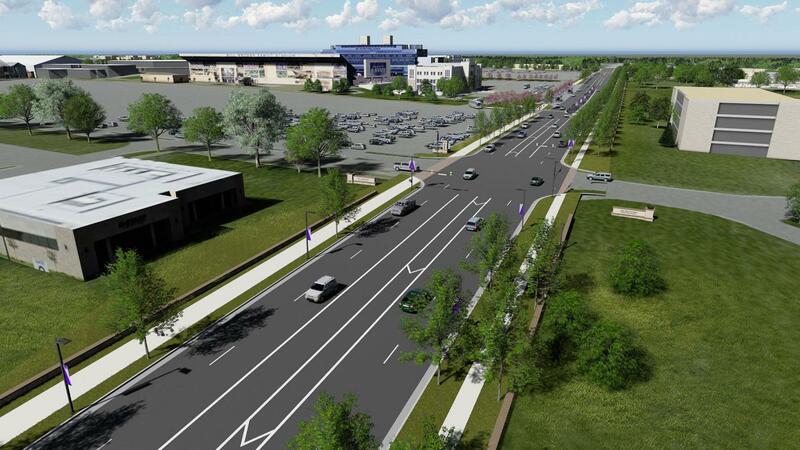 “This plan is an economic development road map that will guide the success and competitiveness of K-State, our community and the region for decades to come,” said Richard B. Myers, president of K-State. Sue Peterson, the university’s chief governmental relations officer, and Kent Glasscock, president of the K-State Institute for Commercialization, are quick to highlight the excellent relationship between K-State and the community. Town-gown relations here have garnered recognition from The Princeton Review: K-State and Manhattan ranked No. 1 for 2018 and No. 3 for 2019. 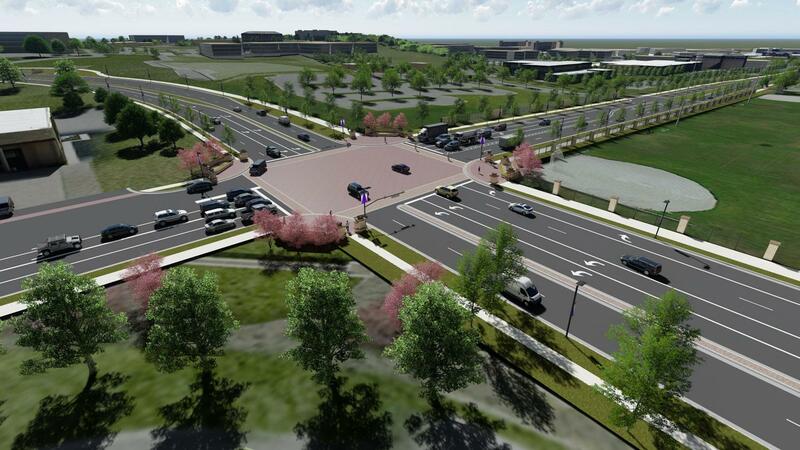 The North Campus Corridor project itself has received national recognition and was a finalist in the 2018 Awards of Excellence from the University Economic Development Association. The project is drawing $10 million from the City University Project Fund, which demonstrates commitment from both parties. Jason Hilgers, deputy city manager for the city of Manhattan, said good relationships are key to the success of the plan. Manhattan Mayor Linda Morse said the potential to foster long-term economic growth is enormous. 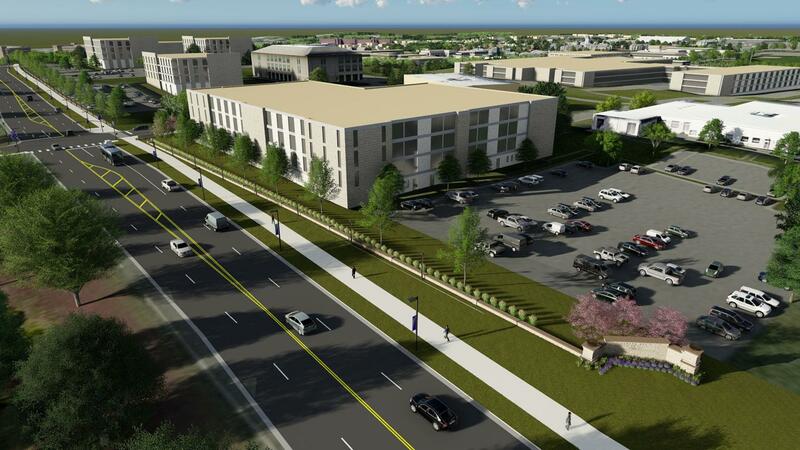 Two crucial elements in the North Campus Corridor plan are the K-State Office Park, developed by the KSU Foundation, and long-term plans for improvements to K-State Athletics facilities. The office park offers a prime location for companies to engage in research and education partnerships with K-State or NBAF and to hire K-State students and graduates. Current tenants include a Garmin International Inc. software engineering facility, U.S. Engineering, construction company McCownGordon and the Veterinary and Biomedical Research Center, which helps products earn federal regulatory approvals. Integrating K-State Athletics also brings energy to the corridor. 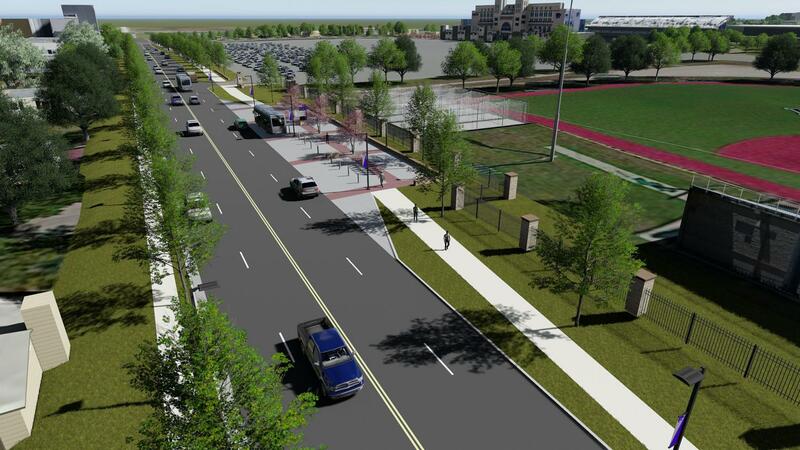 Jeremy Niederwerder, senior associate athletics director for facilities and capital projects, said combining athletics and North Campus Corridor projects will improve both the day-to-day character of the area and the fan experience. “Improvement of traffic for both vehicles and pedestrians will enhance patron safety while increasing the ease by which our fans can attend events,” Niederwerder said. The new North Campus Corridor will honor its historical and contemporary role as an agricultural research area. It already includes renowned research organizations and facilities, such as the university’s Biosecurity Research Institute, the Grain Science and Industry Complex and the K-State Research Park, which is home to the headquarters for the Kansas Department of Agriculture. The collaborative university, civic and business team aims for the thriving North Campus Corridor to continue attracting companies and people to the Manhattan area. “We want to create an environment that’s appealing and give it a sense of place,” Hilgers said.